Introducing High Dynamic Range on Xbox One. Experience richer, more luminous colours in games like Gears of War 4 and Forza Horizon 3. With a higher contrast ratio between lights and darks, High Dynamic Range technology brings out the true visual depth of your games. With four times the resolution of standard HD, 4K Ultra HD delivers the clearest, most realistic video possible. 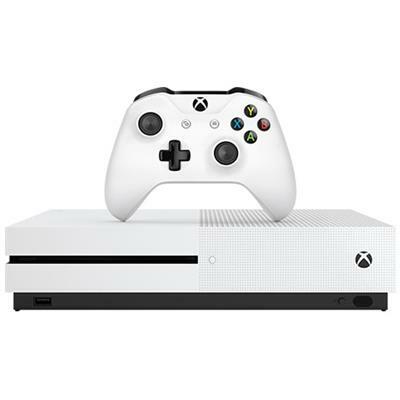 The Xbox One S is the only console that lets you stream 4K content on Netflix and watch Ultra HD Blu-ray™ films in stunning visual fidelity with High Dynamic Range. 4K Blu-ray – Watch movies in stunning detail with built-in 4K Ultra HD Blu-ray™. Xbox One is now the best place to play a growing library of your Xbox 360 games. Experience both generations of games on one console, including digital and disc-based titles. Keep your game saves, add-ons, achievements, and Gamerscore. 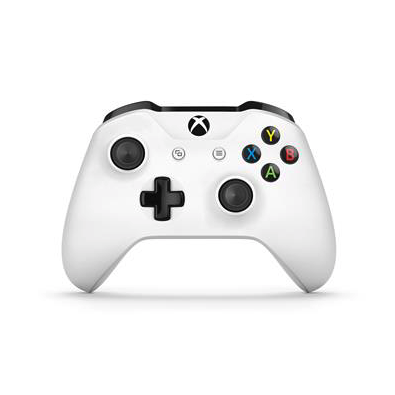 And with Xbox Live Gold, play multiplayer games with friends no matter which Xbox console they’re on. Enjoy the greatest games lineup in Xbox history – exclusively on Xbox One.